Posted on June 6, 2018 at 3:08 pm. Gabrielle Beteag is a mezzo soprano native to Atlanta, Georgia. She recently graduated from Georgia State University with a Masters of Music in Vocal Performance, where she was seen onstage as Lady Billows in Albert Herring and Katisha in The Mikado. This summer, Gabrielle will return to the Harrower Summer Opera Workshop to perform the role of Augusta Tabor in the Ballad of Baby Doe and to cover the role of Jo March in Little Women. Her other role credits include Madame de Croissy in Dialogues des Carmélites and Secretary in The Consul. 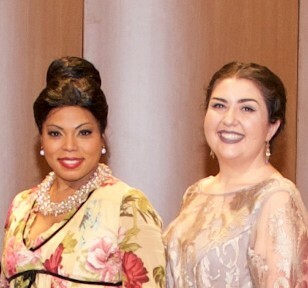 Gabrielle was the 2018 recipient of the Kristin Lewis Vocal Scholarship Vienna Stipendium. She is also a recent winner of Georgia State University’s Brumby Concerto Competition and was the 2017 graduate division winner of the Opera Guild for Atlanta’s Vocal Scholarship Competition. Vienna is the land of Mozart, Beethoven, Strauss, Mahler, Hadyn and many other historic locations, from Schönbrunn Palace to St. Stephen’s Cathedral to the Mozarthaus Vienna, an immersive museum that includes Amadeus’ original, preserved apartment, await Gabrielle! She will receive a one week, all expense paid trip to Vienna, Austria, for voice lessons with noted soprano Carol Byers, vocal coaching with collaborative pianists from the Vienna State Opera, acting and diction lessons.